Samsung today announced a new Galaxy A series smartphone called the Galaxy A70. The newest addition to the Galaxy A series comes with a similar design from its other Galaxy A series of smartphones which Samsung has launched so far. The latest Galaxy A70 comes with a waterdrop-shaped notch, a large 6.7-inch display, a triple rear camera setup at its back. The Galaxy A70 features a triple rear camera setup with a 32-megapixel selfie sensor and a large 4,500mAh battery. The Galaxy A70 features an “on-screen ” fingerprint scanner like seen on the Galaxy A50. The Samsung Galaxy A70 runs on the latest One UI software based on Android Pie. 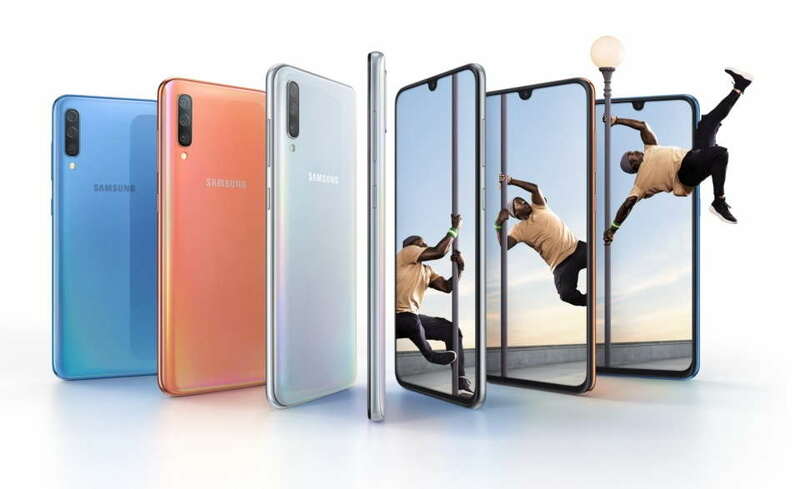 Notably, Samsung’s Galaxy A series has a long range of devices, including the Galaxy A10, Galaxy A30, Galaxy A50, and the recently launched Galaxy A40 in the Netherlands. Samsung is also expected to launch the Galaxy A90 or Galaxy A80 soon. According to a new Tweet from OnLeaks, his source have revealed that Galaxy A90 or Galaxy A80 will come with a massive 6.73-inch display and No notch or hole. He also revealed that the device will feature roughly 1.2mm bezels and 3.6mm chin. For now, Samsung hasn’t revealed the pricing and availability details about its Galaxy A70 device. Samsung says that it will provide more details on the device at its Galaxy Event scheduled on April 10th.